I have a clean windows and Bios 4.0 install. Trying to run the windows drivers from here "UP-Squared-Windows-10-64-bit-drivers" "Step 2 - Graphic" and every time I run the installer it crashes the system. I went to device manager and tried to update the driver from there it did the same thing. Hello, I have the same problem. Did u manage to find a solution? 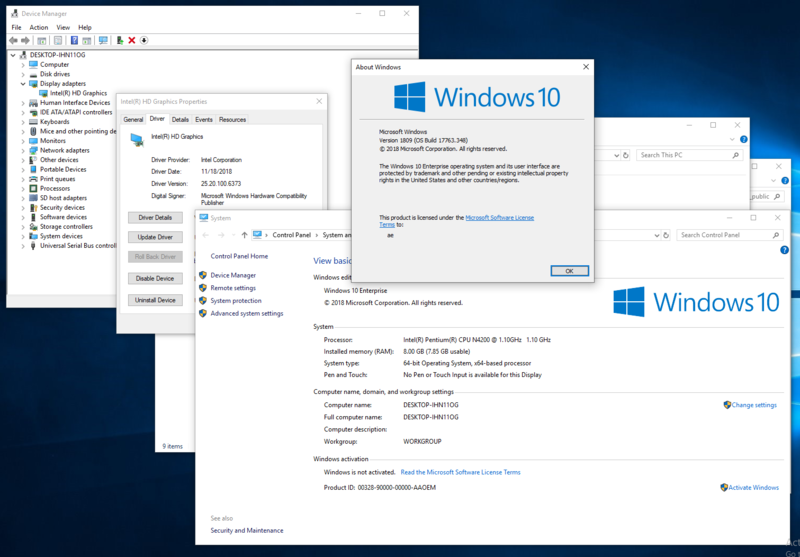 What's windows 10 version you use? I'm using Windows 10 Pro, Version 1809, Build 17763.253. 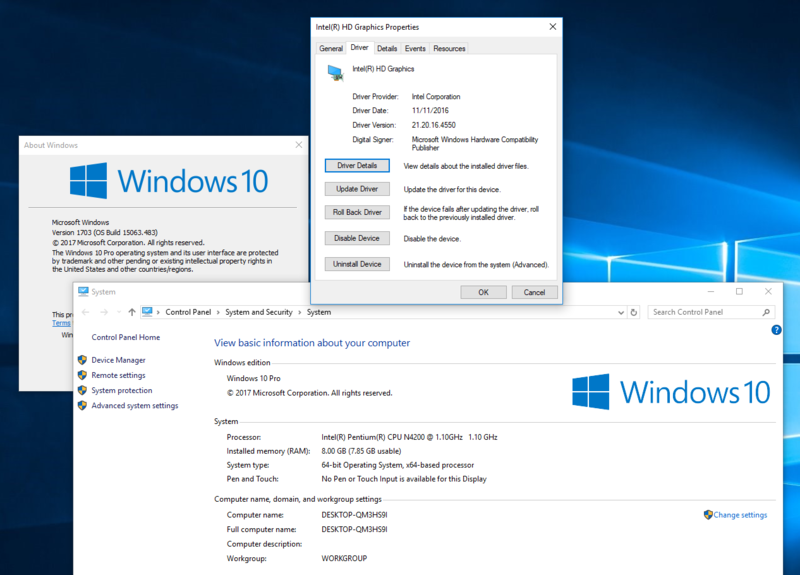 I've Installed Windows 10 Pro version, then I've tried installing Intel HD Graphics 21.20.16.4550 - It says that these version of Windows and Intel are not compatible (?? not sure why...). Then I've tried installing 21.20.16.4664 and 4815 - and UP squared restarts before the installation is complete. Is it possible that the hardware is faulty? I've updated Windows 10 from 1703 to 1809, and there's no operating problem. 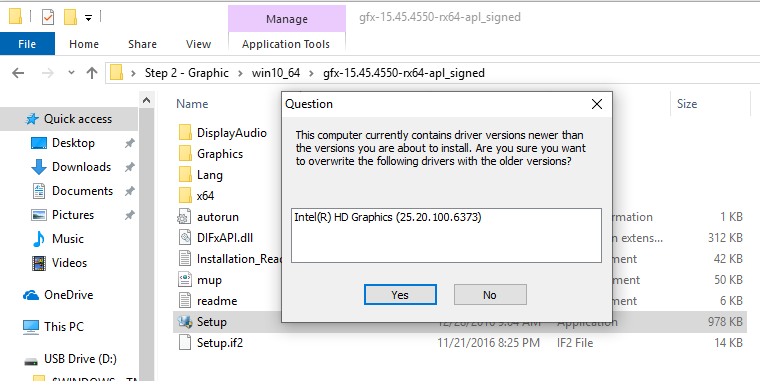 However, Microsoft will automatically update Intel HD Graphics to **25.20.100.6373 ** during windows 10 1809 installation (as picture below). So you don't need to do any update to HD Graphics driver.